I recently came across a report by the International Cotton Advisory Committee, forecasting a fall in the price of cotton in 2011 & 12. Such stories are often hidden in the back pages of the financial papers so I’m sure I’m not the only one that frequently fails to give them much notice. Last week however, while photographing in the central Indian cotton-growing region of Vidarbha, I met people from a two million-strong cotton-farming community who are all too aware of the significance of such news. 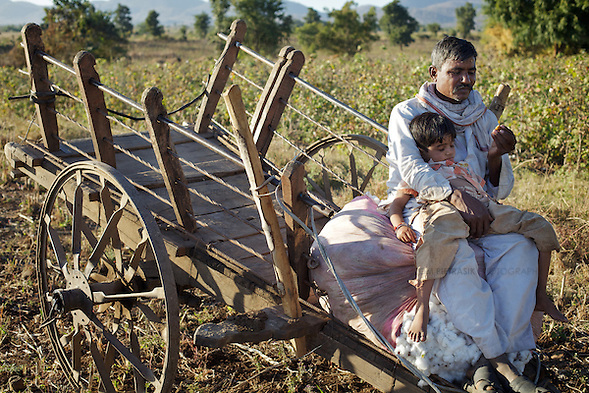 For these farmers, the fall in the price of cotton has had a major impact on their lives over the past twenty years. In 1991, the Indian Government liberalised its economy and began introducing reforms that placed millions of already poor farmers at the mercy of international commodity markets. The Government’s guaranteed purchase price for many Indian crops fell to a price-floor or were abandoned altogether. In Vidarbha, small-scale cotton producers who could once depend on a meagre but stable rate of return found themselves regularly investing more money in the running of their farms than they were generating in sales. This necessarily forced many into debt, triggering uncertainty, destabilising lives and undermining development. Fourteen-year old Sangam Gavarguru from the village of Adgaon Budruk, has grown up in this precarious environment. He has worked in the Vidarbha cotton fields since the age of nine and rarely attends school because he must earn enough money to feed himself and his grandmother with whom he lives. 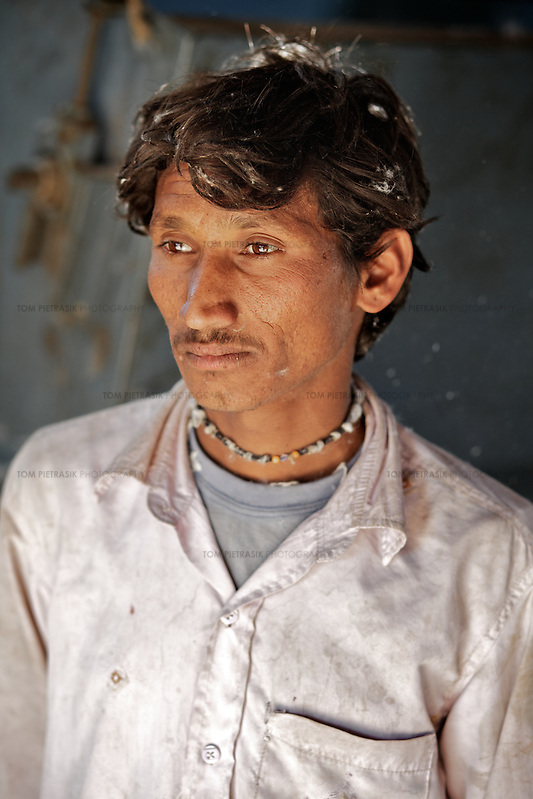 Sangam lost his mother several years ago when she committed suicide in a desperate bid to escape the misery of life with her alcoholic husband. I don’t know why Sangam’s now-estranged father turned to liquor but it is worth appreciating that the prevalence of alcoholism (and suicide) inevitably rises among populations immersed in the hopelessness of debt, contributing to individual ruin and the eventual undoing of communities. 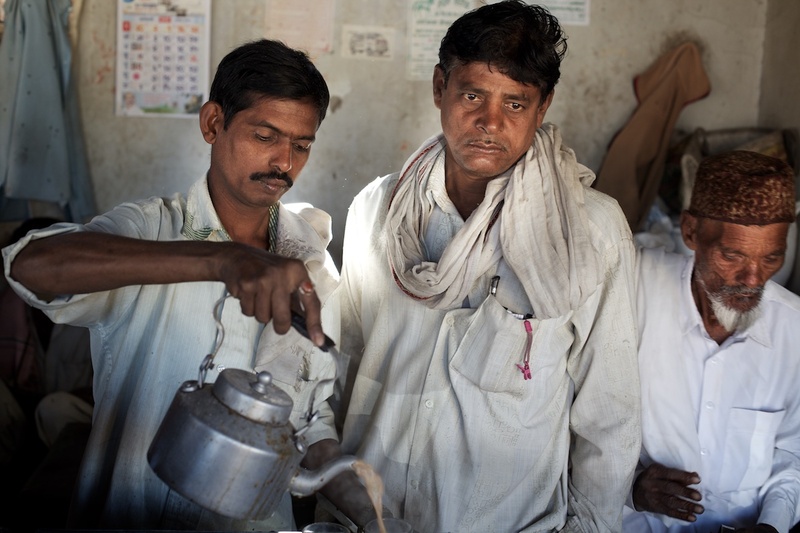 As a measure of the crisis in rural India, an average of 47 farmers a day committed suicide in 2009. World cotton prices have witnessed a sharp and steady decline ever since agriculture was opened up to free global trade in the post-WTO era. This is because, despite promises to cut protection in agriculture, there has been no reduction in the protection given to farmers in rich, industrially developed parts of the world like the U.S. and E.U. At the same time, the little protection that farmers in developing nations once enjoyed has been lifted. When comparing farm subsidies in the West and those in India, we are not equating like with like. It would be wrong to imagine that subsidies in developed countries go to struggling family-owned farmsteads. In the U.K., the top recipient of farm subsidies is Tate & Lyle, a multinational sugar-processing company that has received €828 million in subsidies from the European Union since 1999. Research by Ken Cook and others in the The Environmental Working Group, unearths a similar picture in the U.S.
Washington paid out a quarter of a trillion dollars in federal farm subsidies between 1995 and 2009… the largest and wealthiest top 10 percent of farm program recipients received 74 percent of all farm subsidies. So corporate farms in the E.U. and the U.S. – a country that exports almost 70 percent of the cotton it produces – are able to dump a cheap, publicly-subsidized commodity onto the international market forcing producers in the developing world to sell at prices that will not sustain their lives or those of their families. Such inequitable trade relationships lie at the root of understanding why India’s cotton farming community – Sangam Gavarguru among them – are caught in a cycle of poverty. Until trade is tackled, aid to these areas can only hope to scratch the surface. You’re absolutely right on cotton and US subsidies. But it is worth noting that Tate and Lyle is a British company that imports sugar cane from the Global South and receives those large EU subsidies mostly because of a complex arrangement in which some former colonies and dependencies of EU countries get special high price access to the EU market. So Tate and Lyle would argue that they just pass the money through to farmers in Mauritius and other developing countries. But it’s still money and EU sugar beet processors are still the beneficiaries of a system that is overwhelmingly rigged against the developing world. The EU still produce more sugar than it would without subsidies and tariffs. Though it’s the subsidies and tariffs that benefit British Sugar and other beet companies that are the problem here, not so much Tate & Lyle. And obviously the European sugar beet farmers worry about their own livelihoods. It’s always complex! I am doubtful that a return to protectionist policies by India would help its cotton farmers in the long run. Many of the problems they face are simply related to technological change in agriculture and the rest of the economy which sees smaller farmers finding it harder and harder to make a living (the same happened in the UK in the 18th and 19th centuries). More can certainly be done to help them than is being done right now and we can start in the West by eliminating the harm we do. Great photos. Good luck with the project. Good to get your comments Jack – I really appreciate it. Subsidies clearly follow an obscure and convoluted path which of course makes the role of farmsubsidy.org even more vital. I’m afraid issues of unfair trade relations between the West and the Global South – and the legacy of those relationships – all too often seem to get ignored when looking at the causes of poverty in countries like India. Enjoyed watching the Fields of Gold video – good to know you’re part of such a committed group. This is especially interesting for me to read because being in the export industry(primarily cotton garments and home furnishings), i have seen an unprecedented rise in yarn/fabric costs 2009 onwards. Yarn today is at the minimum 100% more expensive than it was in 2009 and fabric about the same. cotton farmers>yarn mills>fabric mills>garment manufacturers/exporters/BUYING HOUSES>retailers. because the yarn prices have gone up significantly, the fabric prices have gone up, therefore exporters are raising prices to accommodate costs increases and often to such levels at which retailers are unable or unwilling to buy at. its not the the manufacturer/exporter and its definitely not the cotton farmers that are benefiting from any of this. from where i am it appears that it is yarn/fabric suppliers and in fact the hushed tones on the street will also tell you there are a handful of prominent politi…people hoarding/stocking up on this essential commodity looking to profit. the desperate farmer has a strong case, maybe a loud voice but its falling on deaf ears. but in unison with the garment export body (usd 11 billion exports in 2010) im sure it can reach a few ears. You should come to Peru. You will find the exact same situation. I bet things look even worse in the C4 countries that depend on cotton exports and suffer greatly because of US subsidies. In Peru at least there seems to be a light at the end of the tunnel. For the first time in history all the agents in the productive chain (farmers, ginners, spinners and textile & apparel manufacturers) are sitting down and designing a compensation fund that involves a voluntary tax paid by those who import cotton fiber, yarn or textiles that will be devoted to increase the productivity and technology of cotton growers. Let´s hope it works out since US subsidies will not be removed, or at least not in this century! Thanks for writing in. I wasn’t aware of the effect of subsidised US cotton on Peruvian producers. Oxfam have a good article, written before implementation of the US-Peru Free Trade Agreement, which outlines the implication of the FTA for Peruvian cotton producers. Its reassuring to know that despite a failure by their government to acknowledge the rights of cotton producers, those in the Peruvian cotton industry are working together to address this injustice. If successful, perhaps theirs will be a model that others, including those in India, can replicate. Tom Pietrasik is a photographer and video producer based in New York City. Tom regularly works for media outlets like the Guardian, international NGOs including Oxfam, UN agencies like UNICEF and for corporate clients including Standard Chartered and Gartner Inc.